As a gift to all of you, I have recorded and uploaded to YouTube a 50-minute lecture from Book 1 of Technology’s Role in Human Evolution: Mythology as a Preparer for Our Age, https://www.youtube.com/watch?v=80njqbC8hIs. If you just want the slides as a PDF file without the audio and without the slide animations, they are here: Mythology Chapter. And, the recording of the live lecture of October 27, 2017 entitled Rudolf Steiner’s Surprising View of the Future is also on YouTube HERE. Through the Plato Academy of Florence, Leonardo was aware of the ‘heresies’ of Early Christianity. Andrew will speak about his academic research that has led to his forthcoming book, The Hidden Heretic of the Renaissance, Leonardo. 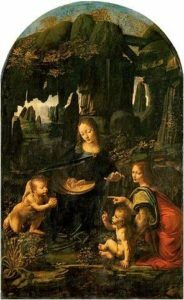 What was Leonardo really depicting in his original Virgin of the Rocks? 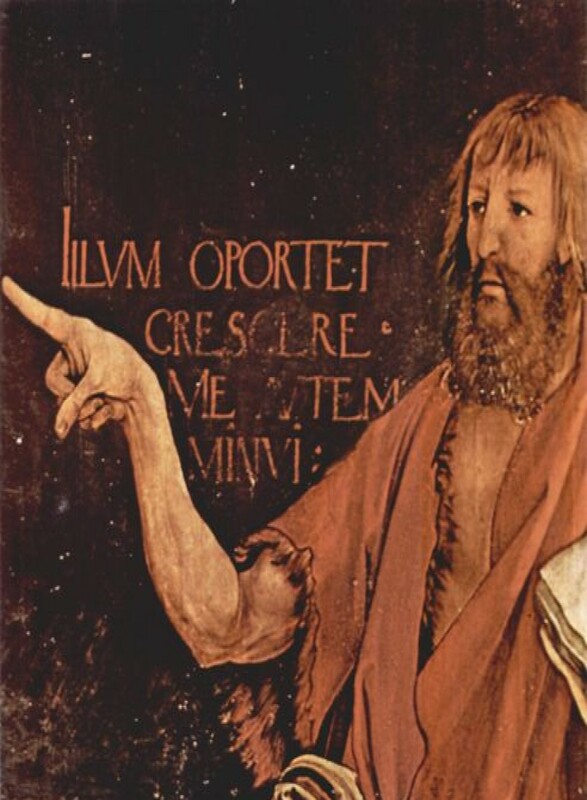 Get ready for an entertaining art history journey exploring paintings by several Renaissance artists. Andrew has been a featured speaker at the Springfield Art Museum and for other cultural organizations in numerous cities. Art historians and Walter Isaacson fans alike will enjoy this talk. 15 (Fri) Renaissance 2.0 The future: a welding together of man and machine? Massive change is underway in the fields of science, art, and religion. Michaelites are here! So much is near at hand. At first, Ray Kurzweil (The Singularity is Near) and Rudolf Steiner would seem to be polar opposites. Andrew Linnell, former CTO of OmegaBand and a 42-year veteran of the computer industry will explore how similar yet different these two views of the future are. We’ll cover the dramatic changes foretold by Spiritual Science for the Post-Atlantean ages. Rudolf Steiner spoke similarly to modern concerns on job loss, social chaos, and merger with machines, e.g. the “welding together of Mankind with machines will be a great and important problem for the rest of the earth-evolution.” The Wrong and Right Use of Esoteric Knowledge, Lecture 3, 25Nov1917. 7 PM to 9 PM, Eurythmy Hall, Austin Waldorf School, Austin, TX. June 11-13, 2017. Seattle Waldorf School. Jan. 2-4, 2017. Facing the social and evolutionary challenge posed by technology. (I will be one of several speakers. Here is a PDF of my presentation CR Tech Retreat 2016). PDF file of the lecture is here. An examination of the Post-Atlantean Cultural Ages with a focus on the seventh age when women will already be infertile, the War of All Against All happens, and finally, the moon returns to re-merge with the earth. Slides may be found here: Return of the Moon. Toronto, Ontario, Waldorf Academy, The Role of Technology in Human Evolution. April 28: Lecture 1. Merging with Machines – The Path to Jupiter? New York City, Branch, Workshop: The Role of Technology in Human Evolution, April 9. Part 1: Legends; Hephaestus; preparations for our time, Part 2: Electricity & evil; EMR; sensitivity & safety; magnetism, Part 3: Resonance, prosthetics, robotics, vibrations, and life, Part 4: Artificial intelligence, artificial soul; consciousness soul development, a path to “future Jupiter”. Holos University’s HOW Cafe: Technology and Evolution. Part 1 March 30, Part 2 April 6, Part 3 April 13, Part 4 April 20. Seattle, WA: Four presentations under the theme of Technology’s Role in Human Evolution. Presentations 1 and 2 plus presentations 3 and 4 delivered 2/28/2016 at Seattle Waldorf School. Technology’s Role in Human Evolution delivered 1/29/2016 in Wilton, NH. Here is a paper, The Esoteric Content of Leonardo Da Vinci’s Virgin of the Rocks, by Jos Velhurst that was inspired from his review of the above da Vinci lecture. It is posted here with Jos’ permission. Mystery of Color. Delivered House of Peace Summer Lyceum 2014. Is color merely bandwidth and frequency? How does the soul experience color? Was Goethe right about colors? Explore how colors arise from the interplay of light, dark, and turbidity. Aura colors. Might it still be possible to access these lectures (as well as others not listed here)? Your request came at a time when I’ve been away from this website with other work. Sorry for my delay. Yes, I will repost all of the lectures from the Knights Templar series sometime next week. I’ll send you a notice when I have them posted. At one point, I was running out of room for all of the postings. I would have had to pay more for this non-revenue generating site so I had to remove older lectures. Didn’t know about this site, Andrew. Saw your notice on Facebook yesterday regarding your weekend lectures on technology and am trying to locate them here on this site. Will also read your article articles about the mystery centers, Christology, etc – am reading the 5th Gospel in our RS study group. My husband is new to anthroposophy and your lectures may help him grasp concepts easier. Many thanks for your important work. Yesterday I put the links on the Events page. Today I put them on the Lecture Archive page. Sorry about that. I hope these can help your husband but I am expecting the audience has a decent background in Anthroposophy so you may need to go through it with him.